Hopefully I can keep up with a mock draft per week for you guys. Last week, my mock featured a trade up, for a wide receiver and also a few players that fans were not familiar with. Since then, we as a collective whole gathered more information withPro Days and Pre-Draft visits coming to fruition. I attempted to put together a realistic mock with whom the Steelers have shown interest in. 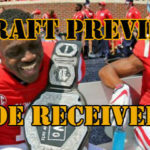 Click on the name’s of the prospects to view their NFL Draft Player Profile. Enjoy! I’m very hesitant mocking Bush to the Steelers for the shear fact that he may not be available, but if he sneaks past Cincinnati at 11, it looks to be smooth sailing. Bush has the athleticism, instincts, coverage ability, leadership and high character the Steelers covert so highly. Although his size isn’t a strong point, Bush plays much bigger and uses his skill-set to out-play his opponent. Bush didn’t turn the ball over that often, but I expect that to improve at the next level where he won’t blitz as often. The interest is there from the Steelers as both General Manager Kevin Colbert and Head Coach Mike Tomlin were present at his Pro Day. Savage is exactly as his last name suggests. Whether it be tackling, disrupting the catch point, or using his range to cover a lot of ground, he’s a high effort player who flies around and makes plays. Savage can play either safety spot in the NFL, which is a highly coveted trait by the Steelers. Sean Davis’ future is very murky right now and securing his long term replacement ahead of time would be a wise move. Savage will start on special teams, while playing the strong safety position while Terrell Edmunds is in the dime-backer role, or vice versa. Savage will be in for a pre-draft visit. Some teams going to get a really good player in former Maryland safety Darnell Savage. One of #MyGuys in this draft. This was acquired via the Antonio Brown trade. Why a cornerback when the Steelers just signed Steven Nelson? Joe Haden will be 30 in a few weeks and his health is inconsistent. Mullen may be able to secure that spot for the future with some experience and coaching. Mullen wasn’t highly productive at Clemson, but that may be may be interpreted either good, or bad. Was not targeted a ton, but disrupted the catch point often. He is inconsistent in run support, but will be fixed at the NFL level. His athleticism wasn’t showcased very often at Clemson, but ran a 4.46 at 6’1, 200lbs. A combination of size and athleticism make him an attractive option in round three. His stock hasn’t risen like many anticipated. Both Colbert and Tomlin were present for his Pro Day. Boykin wasn’t on many radars until he took the NFL Scouting Combine by storm with his performances. A combination of size, athleticism and high catch point will get him drafted in the top 100. The Steelers get their Antonio Brown replacement. Boykin isn’t very experienced yet, but has a high ceiling, so having Donte Moncrief in front of him will be beneficial. Both Colbert and Tomlin were both at Notre Dame’s Pro Day. I’m keeping this pick from my last mock draft. Hollins and the Steelers may be one of the more perfect mid-round matches. Hollins is a athletic, bendy guy who can get to the quarterback in a flash. Hollins earned 35 sacks over the past 3 seasons (14.5 in 2018) and also has the ability to knock the ball down with six passes defended in 2018. Need turnovers? Hollins forced five fumbles and reeled in an interception in 2018. Hollins may be one of the bigger sleepers in the 2019 NFL Draft. The Steelers cannot go into 2019 with Xavier Grimble as their backup tight end. Enter Mack. Another Fighting Irish becomes a Steeler here. Mack is a ‘move’ tight end who hasn’t scratched the surface of his potential. He assumes the Jesse James role in the offense. He will need to improve on his run blocking mentality, but has the traits to improve here. Mack was recently in Pittsburgh for a pre-draft visit. The Steelers need another running back to add into the mix. Weber is a gritty runner who has physicality and big play ability. Weber also has the ability to catch the ball out of the backfield and can add that dynamic as well. His burst and shiftiness need improved and will need a good offensive line to open up gaps quickly. Doesn’t create a ton of production for himself but takes advantage of what he can. A punter? Yes. There is no way Colbert and Tomlin can be satisfied with Jordan Berry’s performance in 2018. 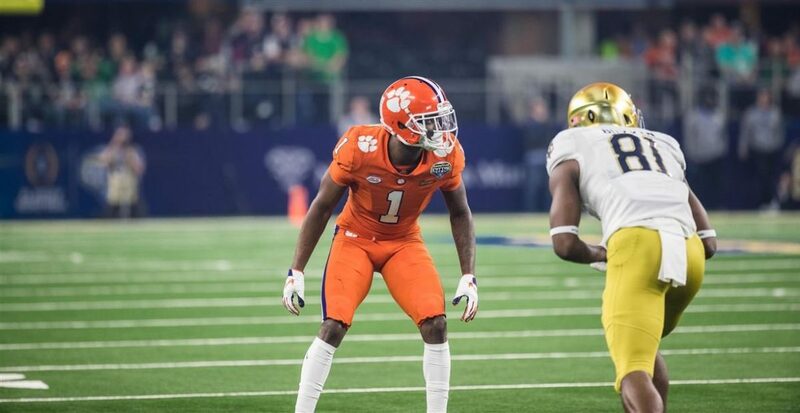 Colbert has proven that he is willing to take fliers on special teams players in late rounds. The Steelers need a punter who can boom punts consistently and other teams have proven having this ability from their punter is very valuable. There were too any occurrences in 2018 where the offense started slow and needed bailed out by a long punt but did not receive that. Fox also can place the ball consistently inside the opponents 20 (per NFL.com “Fox has consistently placed the ball inside the 20-yard line (74 times vs. 23 touchbacks) while forcing a good number of fair catches (71) in his 212 career boots”.) Boswell not making extra points again? Fox made all 15 of his career extra points in college. As a kickoff specialist, Fox sent 111 kickoffs into the end zone out of 200 attempts (NFL.com). BJ Blunt, Safety/Dimebacker, McNeese St. This is a shot in the dark, but the Steelers met with Blunt who was a East/West Shrine game participant. Blunt is regarded as some as a linebacker, others a safety. He has played both. Decent size and excellent production (10 starts: 20 TFL, 11 sacks, 6PBU). If Blunt makes the team, he will be a special teams demon for years to come, in hopes of earning some defensive snaps in sub-package formations. Crazy INT by @McNeeseFootball's BJ Blunt! Well Chris you did a little better in this mock draft than you did on the other 2 but I got major bones to pick with you on a couple guys. Why is it that you among with other folks are so obsessed with Boykin? From what I read why take a WR who take a long time to get going? Hollins is about as Raw as a piece of uncooked meat. Hollins needs at least 2-3 years if your lucky for him to actually make any sort of impact. Don’t tell me otherwise cause I have the info on Hollins and it’s just like I stated. No to a freaking punter because unlike most fans I’m actually willing to give Berry another chance to prove himself. The Gilbert pick intrigues me but I must ask why 2 ILB’s? 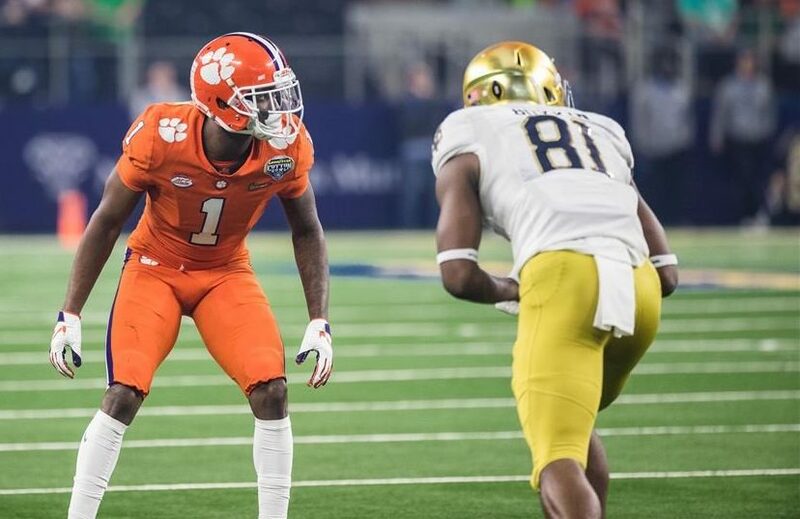 I love Mullen cause he was playing in every time of coverage at Clemson and because of that teams were afraid to throw his way. Savage I can’t complain about cause I don’t enough about him so i’ll leave that pick alone. All in all Chris this mock draft is a little better than the last 2 so I look forward to your next one. I still have no clue why everyone is so in love with Devin Bush. I think a lot of people saw his combine performance and fell in love. His game film is bad though. Bush cannot get off a block to save his life. A 3-4 ILB will have to fill a hole to tackle a RB. If someone blocks him first, it’s over for Bush. I’d rather trade up for Devin White or trade up in the second round for Mack Wilson. Ben Burr-Kirven in later rounds would fit better in the Steelers defense than Bush. I get why fans loves Bush. It’s a different league now a days cause you need a quick, fast ILB who can cover. What bothers me is that fans love his teammate Chase Winovich, which for the life of me I can’t understand. When it’s said he can’t bend it means HE CAN’T BEND. Why don’t Steeler fans understand that? 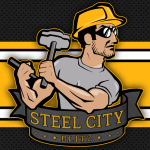 Steeler fans always love the try hard guy and while thats fine it don’t mean that it translates to the NFL but if you tell Steeler fans that they get defensive and try to tell you otherwise. 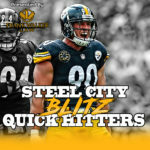 Fans have this belief that guys like Hardman of Georgia and Isabella of Umass can thrive on the outside when clearly it’s the opposite: There slot WR’s at the next level not outside WR’s but there are a lot of Steeler fans who don’t want to hear that or admit it.